We have all seen the movie and we have all heard of lyrics to one of the most infamous songs connected the movie. 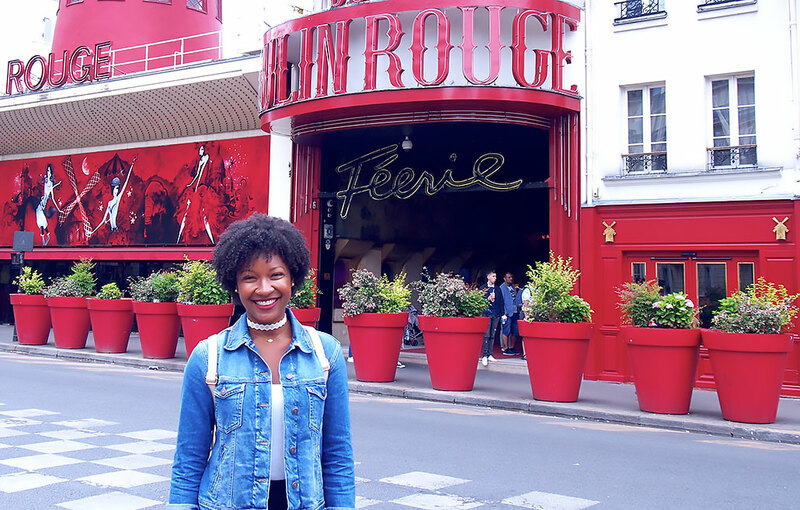 Here I am a girl all the way from Jamaica exploring the world's most famous cabaret show from the outside. I only wish I could have gone to watch the show, but I was just casually in the neighborhood. 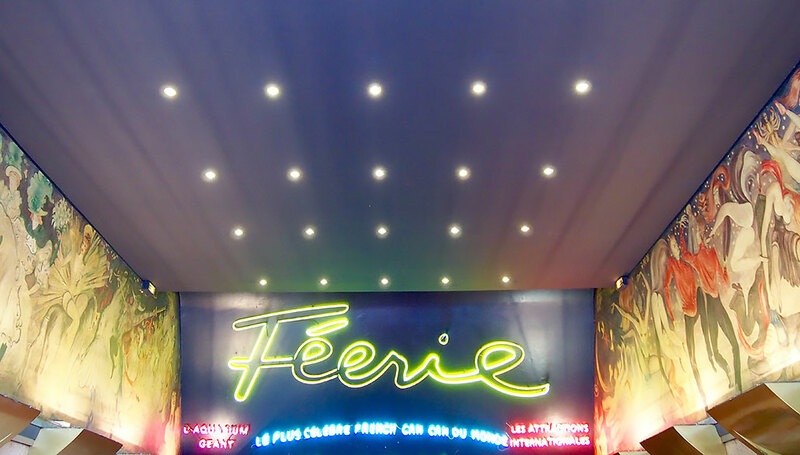 The current show is called Feerie, which is translated as Fairy and oh how I love fairies :) I was in such a goofy mood when I was there because it didn't seem real. It felt like a movie set. 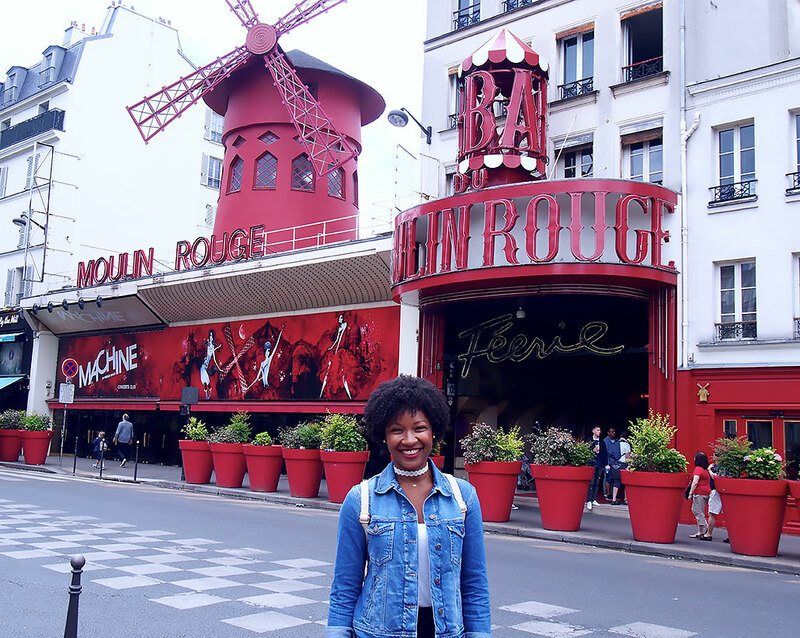 I really liked the area around the Moulin Rouge. 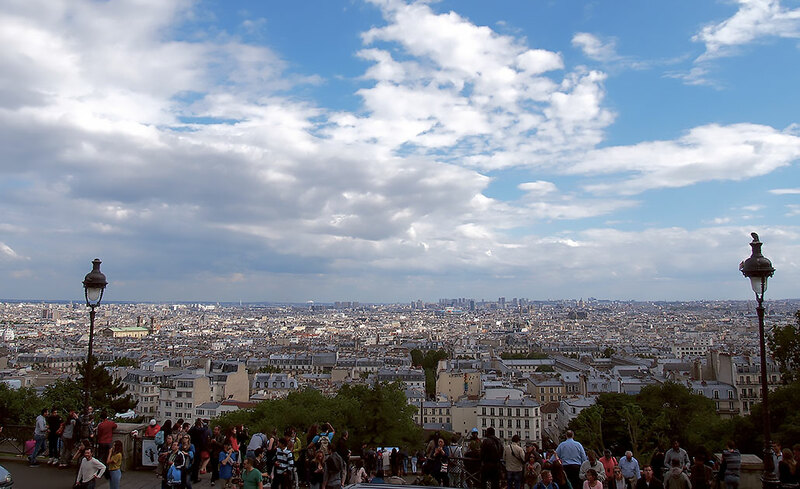 It is located in the same area as Montmartre in the 18th arrondissement. It was super international which is always good in my opinion. And, you know it is international when an Irish pub is in the area. 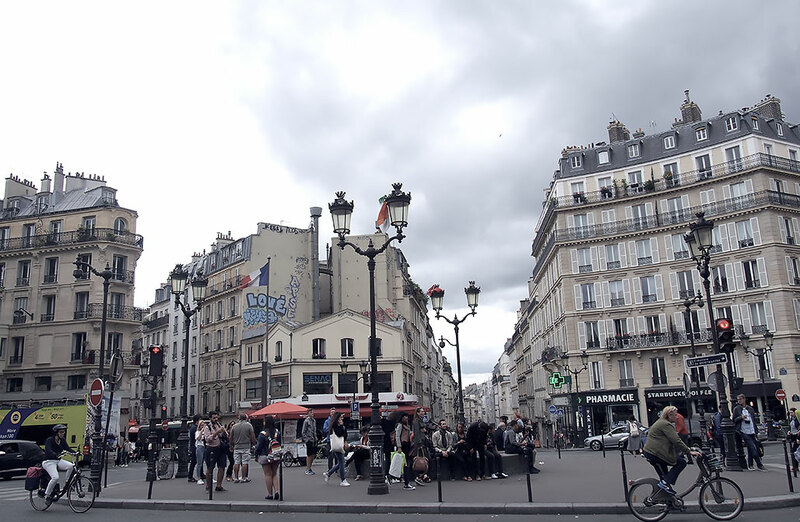 Lots of lingerie shops, some adult shops, restaurants and sidewalk cafes, of course. 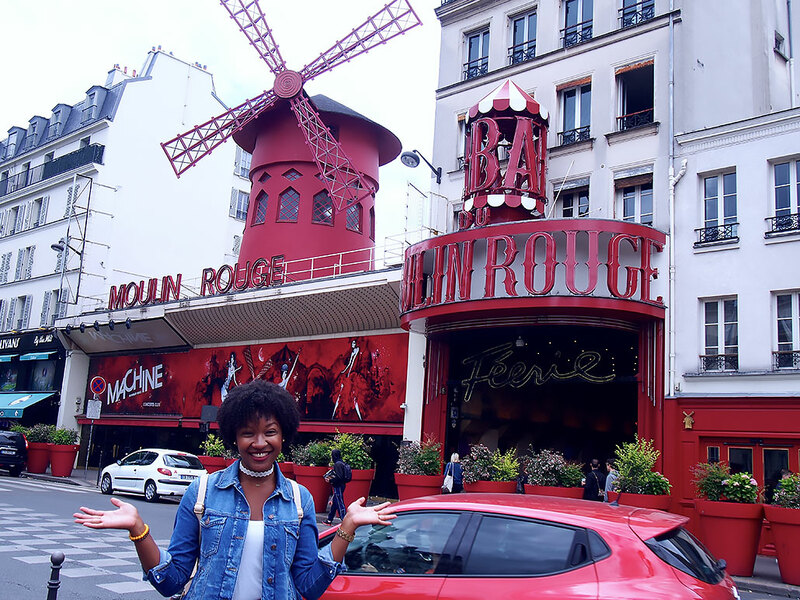 Tip 1: Take metro line 2 and get off at Blanche, then snap a few pictures outside the Moulin Rouge and enjoy the show or carry on with your agenda. Also, after doing some research, I found it is better to book tickets online for the show. 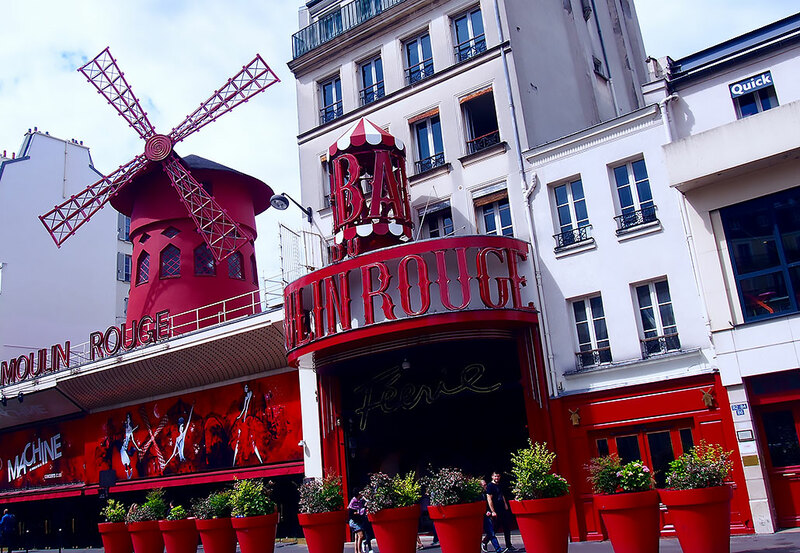 Tip 2: Plan to walk from Moulin Rouge to Montmartre for one of the most spectacular views of the city, hang out at the top while sipping on some bubbly, wine or beer. Also, the street performers are really good there as well. Tip 3: Make sure to pay attention to your belongs in this area because it is very crowded and there are lots of pickpocketers. Tip 4: Always walk with a light jacket. 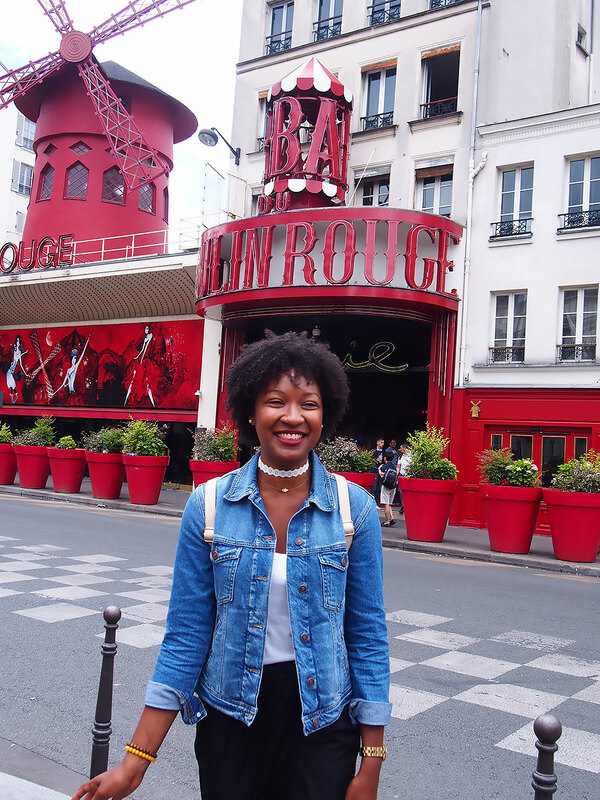 I went to Paris in July and thought it was the peak of the European summer, only to arrive when it was cold. Not an island girl kind of cold either! The real deal! Shout out to Liesl for loaning me this jacket! 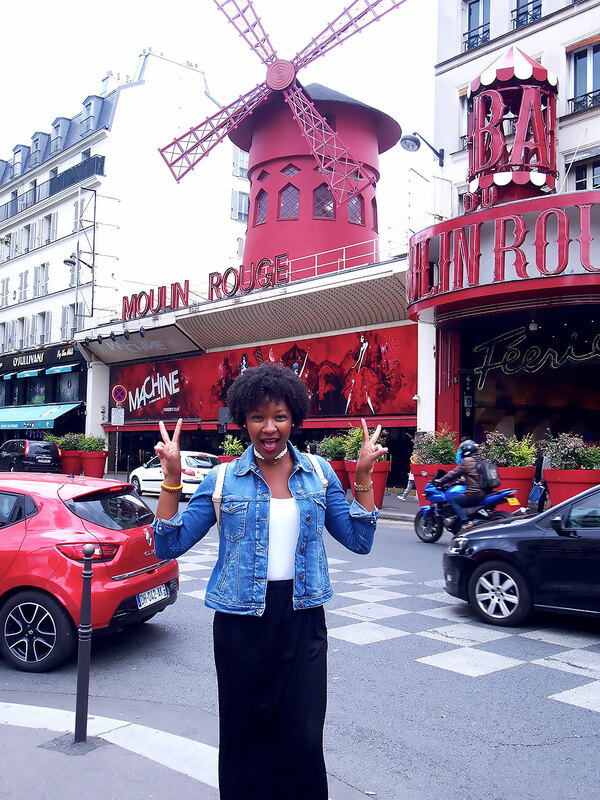 See my other Paris post if you missed it, HERE. 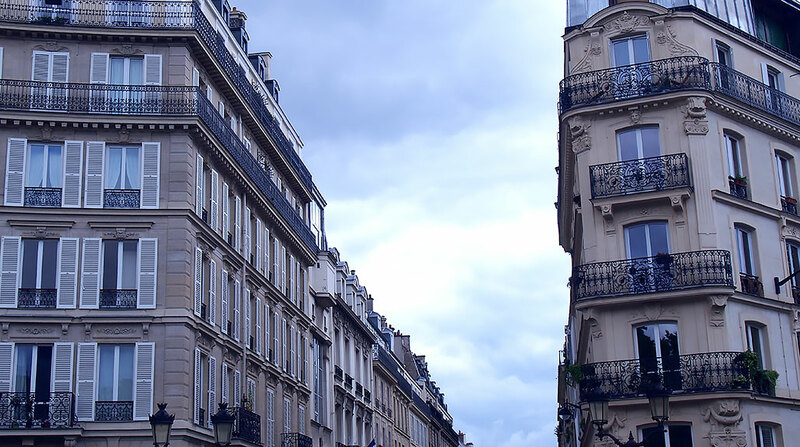 If you have any other tips for me and other readers, please leave them below because Marco and I have to Paris together at some point.